Daniel “Jungleman12″ Cates is one of the hottest online NLHE poker players today and the following article will give you some more information on his great success on the online felt. Many poker players start their careers whilst studying at university but the vast majority either fall by the wayside or continue to play only in an amateur capacity whilst their studies and then career take over. One player who discovered the game of poker whilst studying for an economics degree at the University of Maryland, USA was Daniel Cates, someone who most certainly has not become one of poker’s forgotten men. Back in 2008, the year the first Betfair GSOP Gold Hunt took place, Cates created an online poker account with the alias “jungleman12” and began playing heads-up no limit Hold’em with blinds of $0.25/$0.50. By the end of the year he had turned a profit of $100,000 and had made the jump into the $10/$20 games. The following year he managed to progress to the $25/$50 games and win close to $1,100,000 and was starting to be considered as one of the top ten heads up players in the world. Not bad for a student! Last year was most certainly the year of Cates after he completely obliterated all that dared to take him on at stakes of $25/$50 and even at $300/$600 and the nosebleed $500/$1,000. 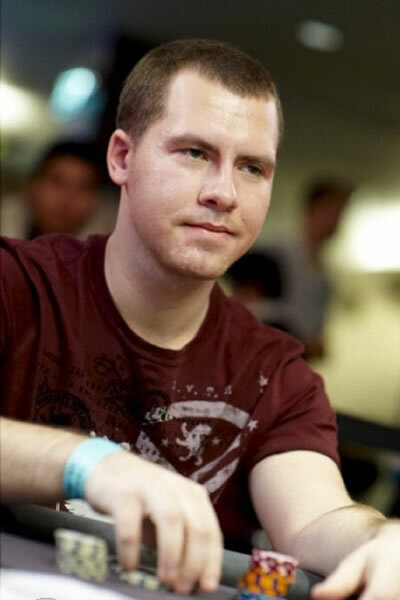 By the end of 2010 Cates had won more than $5,500,000, meaning he could quite easily afford to pay out the prizes awarded for scoring a Betfair GSOP 6 Hattrick. Despite his huge success at the cash tables Cates still grinds online poker in the basement of his parent’s house in Maryland, where he is still studying for a degree in economics, of which he has around a year of studying left. Although he has almost completed his education Cates admits that poker is and will continue to be his main focus for years to come. 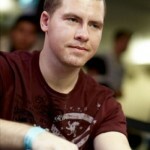 What makes Cates’ success even greater is the fact he did not just play weak players instead he took the fight to the likes of Ilari “Ziigmund” Sahamies, Phil Ivey and Tom “durrrr” Dwan, the latter widely regarded as the best online poker player in the business. Cates has even taken Dwan up on his so called “Durrrr Challenge,” which will see him play 50,000 hands of heads up no limit Hold’em with stakes of $200/$400 over four tables and should Cates finish at least $1 in profit he will win $1,500,000 from Dwan but if the 50,000 hand mark is reached and he is not in profit then he has to pay Dwan $500,000! At time of writing Dwan and Cates have played 17,108 hands of the allotted amount and Cates leads by $819,213.50, though they have not played since January 4 when Cates won $319,103.50 from his opponent over 2,918 hands! Although known as a cash game specialist, Cates has had some success in online poker tournaments with his two largest scores of his career so far topping the scales at $64,438 and $25,075, although he has not had a cash since October 2010. That said he rarely plays online tournaments these days and why should he when his time is probably best spent raking in pots worth $100,000+ at a time! Outside of poker Cates is a video game fanatic and, like many of his fellow high stakes poker players, enjoys playing Starcraft. He often struggles to get his friends to play with him though as he admits to being extremely competitive and always seems to beat them at video games and other games such as chess. On the whole, Cates is very private person and tries to stay away from the limelight the best he can, which is very unlike many other 21-year old millionaires! If you are sat there wishing you could learn from a player who is now thought of as the best heads-up player in the world well you can. The only stumbling block may be the $1,250 to $2,500 per hour he currently charges!